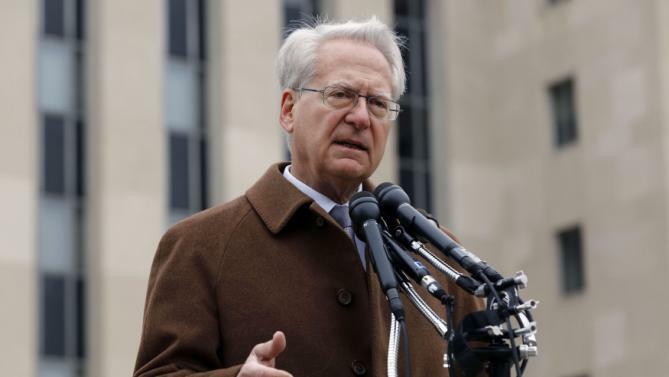 Larry Klayman, the conservative legal activist who represents the anti-immigrant extremist Sheriff Joe Arpaio, penned a column in WorldNetDaily over the weekend about the Supreme Court case determining the future of President Obama’s executive actions on immigration. He even makes a reference to his failed attempt to launch a revolution in 2013, when he promised that “millions” of people would “occupy Washington D.C.” until Obama decided to leave office, only to have just a few dozen people show up. 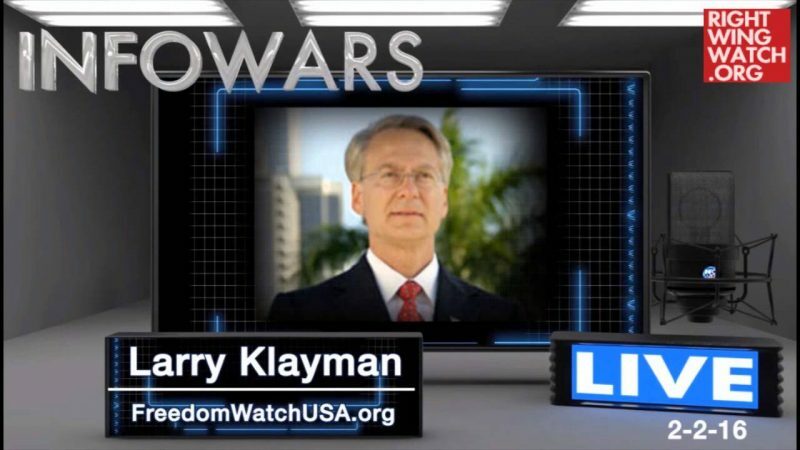 While Klayman claims his revolution was always meant to be nonviolent, he once called on military leaders to “rise up” to oust Obama. This week, “America’s sheriff,” Joe Arpaio, and I filed an amicus, that is a “friend of the court” legal brief before the U.S. Supreme Court, challenging the executive orders of President Barack Hussein Obama that involve granting amnesty to over 5 million illegal aliens, many of whom are his “fellow Muslims.” Sheriff Arpaio has not specifically targeted illegal-alien Muslims for deportation in the amicus brief we filed, but frankly, that will be the natural consequence if President Obama’s executive orders allowing for this amnesty are overturned. I therefore write my own views in this column – which square with the views of millions of other Americans who are finally coming out of the woodwork. These Muslims, as Donald Trump and others like myself have expressed, represent a grave threat to the national security, safety and well-being of all Americans. Whether they are actual or latent terrorists, or just – as is regrettably usually the case – sympathetic to the Islamic cause and its worldwide caliphate under their false god allah, these Muslims have no legal or other right to be here if they are not already citizens. And, that is notwithstanding that the Islamic religion and Muslim culture, in my opinion and the opinion of others who dare to speak the truth publicly, is simply not compatible with a nation founded on Judeo-Christian values and roots. To the extent they can be kept out of this country, this must be done. We are at war with Islam. If we don’t recognize that fact, our fate will soon morph into the disastrous fate of Western Europe, where Muslims have overrun their societies. In the demonstrated wake of past and present terrorist attacks in London, Madrid, Paris and now Brussels, the continent is on the verge of going up in Islamic flames. A few years ago, standing with presidential candidate Ted Cruz, Gov. Sarah Palin and Sen. Mike Lee, during the government shutdown, when Obama spitefully barred military veterans from visiting the recently built World War II Memorial, I stood up to speak before these veterans on a cold rainy day. Metaphorically, facing the Lincoln Memorial where the civil rights icon Rev. Martin Luther King has eloquently given his “I Have a Dream Speech” in the early ’60s, I called for a peaceful non-violent revolution using civil disobedience a la King. 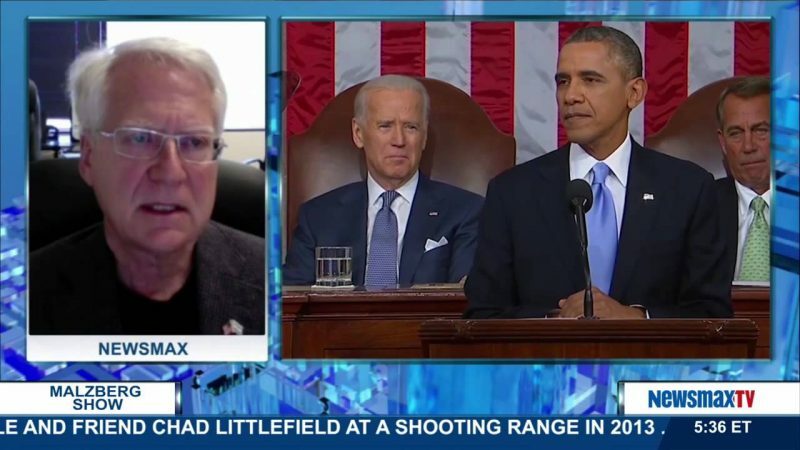 Speaking from my heart on “auto-drive,” I challenged our Muslim president, tongue in cheek, to get up off his knees, put the Quran down and come out with his hands up. My “satire” ignited a spark and was nationally televised, eliciting at least two weeks of non-stop coverage and leftist pro-Muslim commentary. The tea party, for which I am credited with having being a primary catalyst, and I were vilified and trashed on the pro-Obama leftist cable networks MSNBC and CNN. It is ironic, indeed, that a few years later, my controversial satire is no longer satire, but sad recognizable reality. 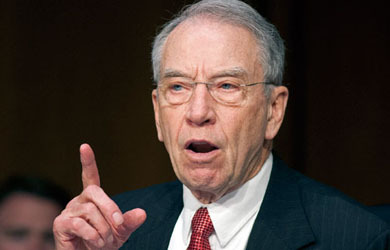 And, with all that is at stake – allowing illegal Muslim and other immigrants to remain in this nation by executive Obama fiat – We the People have to rely for now on the Supreme Court to nullify Obama’s lawless and unconstitutional amnesty. With the high court one conservative vote short – given the mysterious if not “Obama convenient death” of Justice Antonin Scalia – let us all pray that Obama’s executive amnesty will still be struck down. For if it is not, peaceful civil disobedience, as I urged on the National Mall that rainy day before the World War II memorial, will likely soon turn physical, and not by our doing. As in Europe at this moment, the non-Islamic citizenry have had it with politicians who have opened their societies up to Muslim sexual assault and potentially nuclear, chemical and biological terrorism and mass murder. European leaders such as Germany’s Chancellor Angela Merkel and Belgium’s Prime Minister Charles Michel will soon be shown the door at the ballot box. But the push back will not stop there, leaving behind hordes of non-Islamic European citizens who increasingly are taking matters into their own hands. In short, if the Supreme Court does not throw out the Muslim in Chief’s executive amnesty, expect similar violent reaction soon coming to our shores.